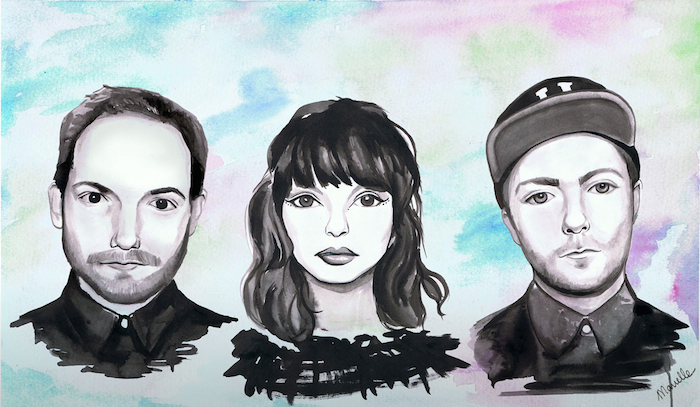 I recently came across a synth-pop ground called CHVRCHES, and I can’t stop listening to them. Quick side note: To anyone who’s followed me online since 2008, this might come as a surprise: I don’t only listen to hip-hop music. This, however, is my first blog post about a musical act that isn’t somehow affiliated with hip-hop culture. 1. Synth-Pop’s origins go back to the new wave movement of the 1970s. One of the originators of the sound was a Japanese band called Yellow Magic Orchestra. I found this song on YouTube that features some of the Yellow Magic Orchestra members. It sounds eerily similar to some of CHVRCHES music, except I can’t understand the lyrics because they’re in Japanese. 2. What’s interesting is Synth-Pop has been criticized for a lack of emotion. What’s so good about CHVRCHES lead vocalist, Lauren Mayberry, is you can feel the emotion in her voice even though she’s not hitting all sorts of crazy notes. My point being her pitch/tone fits perfect with the Synth-Pop sound. 3. As a so-called hip-hop tastemaker, I don’t rely on Spotify to discover new hip-hop music. However, for my interest in other genres, Spotify radio has been a god send. It’s how I discovered CHVRCHES. Just another reason why I put down $10/month for Spotify Premium. Let’s get to the music, shall we? I’ve compiled three CHVRCHES songs that I want you to hear. If you don’t like them, no biggie. Just know that you’re no longer welcomed to my website. Check them out after the jump.